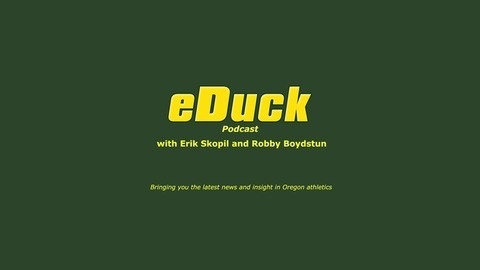 A weekly podcast hosted by eDuck.com's Erik Skopil and Robby Boydstun covering the latest news in University of Oregon athletics. On this episode of the podcast we discuss the spring sports season. We recap the weekend that was including Ducks baseball rebounding from a funk, softball exerting their dominance over in-state rival Oregon State and notes from the Pepsi Invitational track meet. 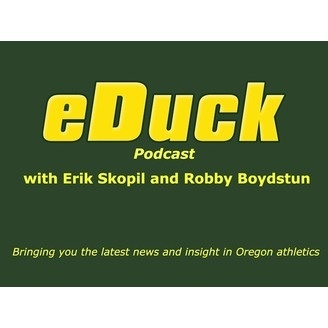 We also tackle Dwayne Benjamin's attempt at a football career, the latest transfer for Oregon men's basketball, big man Kavell Bigby-Williams, and a little football recruiting.